You are currently browsing the archives for the Angie Craig category. Let’s explain something to the mathematically- and economics-challenged, aka the DFL, especially Angie Craig. President Obama’s corporate tax hike triggered a mass exodus of US-based multinational corporations. Simply put, these multinational corporations left. While leftists like Angie Craig and President Obama flapped their gums about Warren Buffett’s secretary paying a higher tax rate than Buffett himself, companies left, causing economic growth to stagnate. Jason Lewis helped pass the Republicans’ Tax Cuts & Jobs Act, which President Trump hastily signed right before Christmas, 2017. Suddenly, manufacturing jobs returned. The economy grew faster. Wages started rising. Angie Craig sees what’s happening. Despite that, she wants to tear down the policies that’ve built the strongest economy in 50 years or more. People should ask Angie Craig why she’d want to wreck this high octane economy. I’d love hearing that answer. Craig’s pat answer is to say that the best way to grow the economy is from the middle class outward. Obama said the same thing. The economy grew at a 1.9% rate per year during his administration. In 2 years under President Trump, the economy is growing at a 3+ percent clip. Consumer confidence and small business confidence are soaring like they never did under Obama. If you want to return to the stagnant Obama economy, vote for Angie Craig. 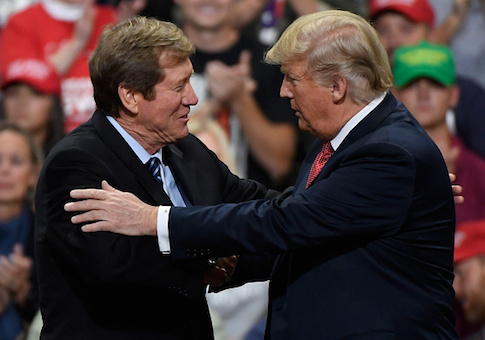 If you want to keep this high-octane Trump economy going, voting for Jason Lewis is imperative. Well, I’ll tell ya, one of the things that I’ve been disappointed in with Congressional Republicans has been on infrastructure investment. As I’ve travelled around the district, things like a new interchange at Elko-New Market, an additional lane on 35 near Lakeville. These are real issues that mayors and local officials talk to me about. I thought that this was the one area that we could agree on when President Trump ran that we could come to some agreement on, that we could push forward a $1,000,000,000,000 infrastructure bill but instead, congressional Republicans gave that $1,000,000,000,000 to large corporations that gave that money away to the top 5%. Why won’t Angie Craig enlighten us on where, or if, she disagrees with Nancy Pelosi or Democrats? Frankly, I’m betting that her unresponsive response says everything we need to know about her. I’m betting that she’s a lock-step, aka rubberstamp, Democrat. In the end, I’m betting that that’s Angie Craig’s Waterloo. All the statements in the world, though, won’t take away the major mistake that Ms. Craig made last week. Last week, Ms. Craig bragged that she wants to team up with Keith Ellison on health care. It’s worth noting that Rep. Ellison “took the reins of single-payer healthcare legislation in the House” last month. After making a major mistake on health care the last time she ran, Ms. Craig apparently didn’t learn. While I won’t predict a lop-sided victory for Jason Lewis, I can’t picture him winning by less than 6-8 points. The DFL recently has talked about health care being a major issue this fall. To the extent that it’s an issue, it won’t hurt Republicans as much as it’ll hurt the DFL. The DFL has kept saying that Angie Craig is a top-tier candidate. For the sake of this article, let’s stipulate that that’s true. Let’s further stipulate that, for being a top-tier candidate, she isn’t too bright. In 2016, Ms. Craig told KSTP’s Tom Hauser that, if elected, she’d “fight” to expand Obamacare. From that point forward, Ms. Craig’s support dropped like a lead balloon. Don’t be surprised if the NRCC highlights this in an ad this October. Ms. Craig can prepare her spin now but it won’t matter. That’s one of those things that you just can’t spin. The latest Cook Report rated this race as a toss-up. 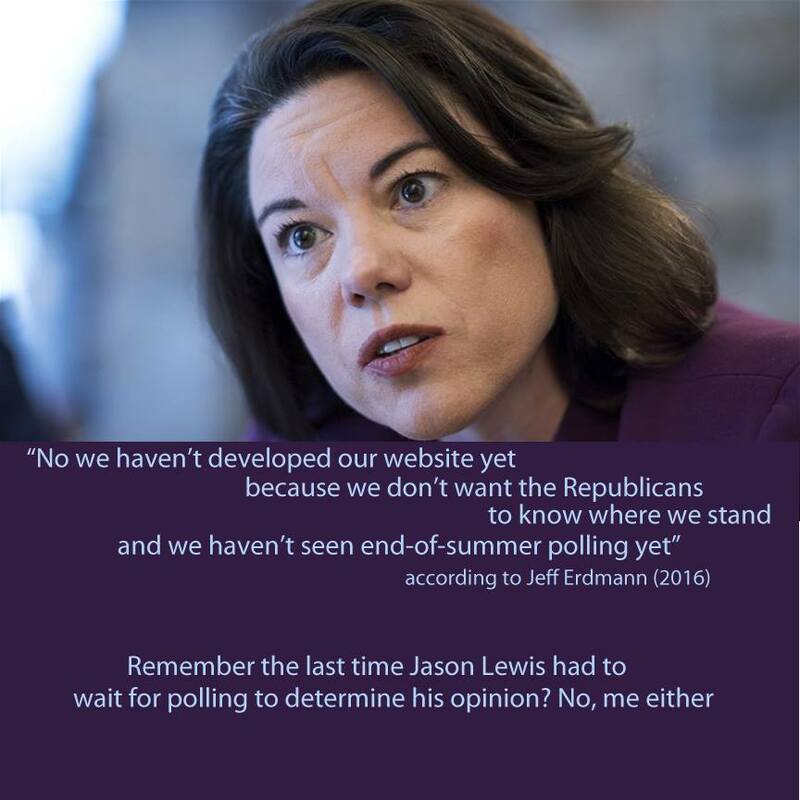 That might be right but Jason Lewis is perfectly positioned to win. I wouldn’t want to be Angie Craig’s campaign manager. It’s appalling that the media would think that voting against repealing the ACA is “tacking to the center.” The ACA still isn’t that popular, though some low-profile GOP improvements have made the ACA less onerous on families. As for “slashing taxes and undoing scores of federal regulations”, the US economy is doing better than at any time during the Obama administration. It isn’t surprising that then-Sen. Franken garnered a plurality of the votes in 2014. His opponent wasn’t a top-tier candidate. As for Sen. Klobuchar’s victory, that’s typical. Most people ignore the substance of her votes and vote for the personality. The reason why American institutions have terrible favorability ratings is because people don’t trust their institutions. People that find a politician who actually believes something are thrilled. People want to find a politician who believes something and can explain why they believe that. We must work to repair our healthcare system, starting with immediate fixes to the Affordable Care Act (ACA), and work toward universal health coverage. It’s time to stop playing politics with people’s lives. Many families, particularly those who are self-employed as small business owners and family farmers, cannot afford the healthcare available in the individual marketplace, but Washington has done nothing to help. Congress needs to work across the aisle immediately to stabilize healthcare costs for these families. We can do this without giving up the good things that have come from the ACA. Current law has eliminated the penalty for pre-existing conditions, ended lifetime limits, allowed young adults to remain on their parent’s insurance, and given tens of millions of Americans access to healthcare who didn’t have it before. That NRCC ad cost her the election in 2016. Just 2 years later, bold Angie Craig has morphed into timid, calculating Angie Craig. A year from now, who knows how she’ll portray herself? This is what a calculating career politician that’ll sell their soul does. This isn’t about “tacking to the center.” It’s about selling out. Third, we need to stop suspected terrorists on the no-fly list from purchasing firearms and reinstate a rule recently repealed by Congress that stopped some people with mental illnesses from purchasing guns. Banning people on no-fly lists from buying guns sounds sensible — until people find out that those no-fly lists included Stephen F. Hayes, the Editor-in-Chief of the Weekly Standard, and the late Sen. Ted Kennedy. Had Ms. Craig gotten her way, law-abiding citizens would’ve had their civil rights violated because the federal government was incompetent. As for “people with mental illnesses” purchasing firearms, it’s more likely that the federal, state and local governments will miss warning signs. That’s what happened in Parkland. Assuming that the federal or state government will promptly update their data bases is like assuming that career politicians will keep each of their campaign promises. That’s why sincerity, honesty and consistency are cherished by voters. That’s why Jason Lewis stands a good shot at getting re-elected. Thus far, it’s seemed like big multi-national corporations have been the only companies that have spread the wealth gained through the Trump/GOP tax cuts. Apparently, that’s coming to an end. According to this article, Minnesota companies are getting into the action. Congressman Lewis is a rising star in the Republican Party. He’s principled, articulate and conservative. Congressman Lewis’s intellectual heft is impressive, too. I’d love to see him debate nonentities like Betty McCollum or Rick Nolan. Frankly, it’d be a mismatch. Angie Craig would be a good fit in Minnesota’s 4th or 5th districts because she’s exceptionally liberal. She’s a terrible fit for Minnesota’s 2nd District because she’s too liberal for the district. Lewis didn’t vote for the Schumer Shutdown. Angie Craig would’ve voted for the Schumer Shutdown.